The Trial by Philip Glass. Review. Scottish Opera, Theatre Royal Glasgow, January 2017. For many years I have been a fan of Franz Kafka's books and of the music of Philip Glass. Therefore I was obviously going to be drawn to see Scottish Opera bring Glass's opera version of The Trial to the Theatre Royal in Glasgow this month. The result was, I am pleased to say, a great success. American composer Philip Glass has a diverse body of work behind him. He has written several symphonies, numerous film scores and ballets and twenty six operas, most famously Einstein on the Beach. Among this work is a previous opera of a Kafka story, In The Penal Colony. His second "chamber opera" of a Kafka tale, The Trial, was first performed by the Music Theatre Wales at the Royal Opera House in London in 2014. 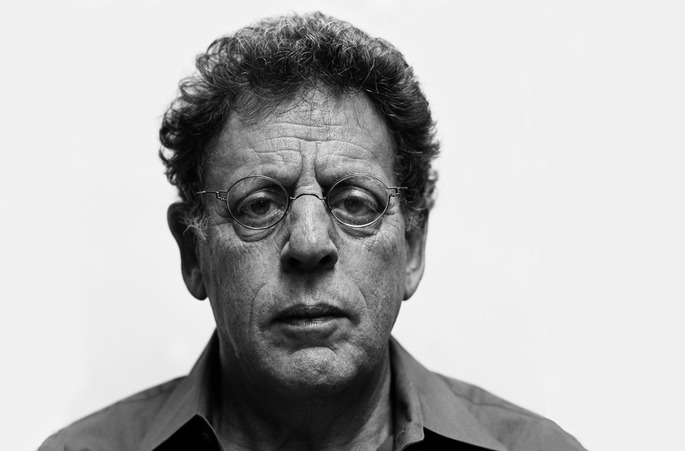 To celebrate his 80th birthday on 31st January 2017 the Barbican in London have a festival of his music, whilst in Glasgow Scottish Opera are performing Philip Glass's opera The Trial in Glasgow and Edinburgh. Philip Glass has performed in Scotland himself several times in recent years, from his 75th birthday concerts in Glasgow in 2012, to appearances at Glasgow's Minimalism festival in 2015 to playing on stage with Patti Smith at the Edinburgh Festival in 2013. His music can't be pigeon-holed as he has such a breadth of work from symphonies to film scores, opera and theatre music, to minimalism in the 1970s and string quartets. 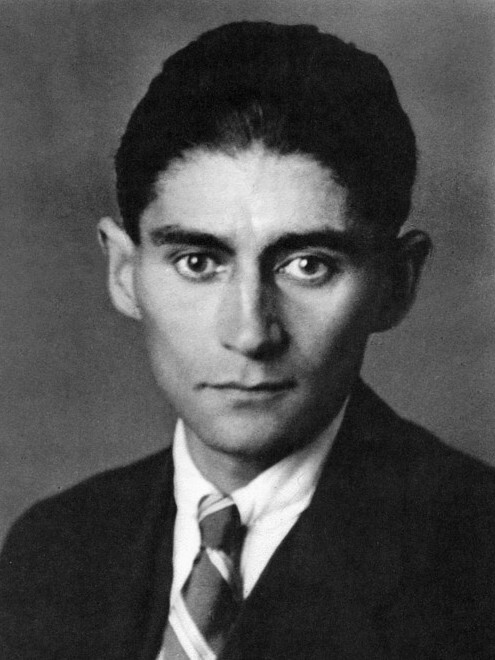 Repetition and strident pacing often mark his work, which proved to be a good fit for Kafka's The Trial. Josef K. is not a particularly likable character. He wakes on the morning of his 30th birthday to find three inspectors waiting for him. He never knows what crime he has been accused of, but tries to fight his case against mysterious officialdom, secret police and unaccountable courts. He gets drawn into the relationships, corruption, pettiness and bureaucracy of the system. This faceless, bureaucratic system seems almost stronger today than the version which Kafka imagined. Franz Kafka was born in 1883 and died in 1924, aged 40, from TB. He was German-speaking and Jewish and lived most of his life in Prague at the time when it was part of the Austro-Hungarian empire. He trained as a lawyer, finishing his studies with a year's unpaid work as a court clerk. He eventually took up a clerical post in an insurance business, as he described it, in order to pay the bills, allowing him to keep writing. The overlaps between Kafka's life and K., who works as chief clerk in a bank whilst continuing his frustrating fights through an absurd legal system, are not hard to see. Felice Bauer, to whom Kafka was twice engaged, is often seen as the template for Fraulein Burstner in the book. There are two cities that I have ran around trying to imagine settings for my favourite books. In St Petersburg I sought out Dostoyevsky's apartment and the flats and streets inhabited by Raskolnikov in his novel Crime and Punishment. On visiting Prague in the 1980s I made sure that I visited Kafka's old house at 22 Golden Lane, and stood like some pretentious arse by his graveside in the New Jewish Cemetery in Prague, wearing a yarmulke and reading from one of his books. The apartment block in a Prague suburb that we were staying in on that trip, with its rickety stairs, was just like the apartments Kafka sets his court offices of The Trial in their attics. It is maybe inevitable then that I link these two books in my mind, Crime and Punishment and The Trial. Dostoyevsky's work was a big influence on Kafka's ideas and there are many echos of Crime and Punishment in the Trial. Has K. committed a crime? Does he consider his actions criminal? If not why does he subject himself to the rule of the authorities? The same questions about guilt and responsibility drive Raskolnikov in Crime and Punishment and Josef K. in The Trial. Themes of guilt, alienation, angst, surrealism, claustrophobic life, shifting balance of power in relationships run through the books. The thoughts of both authors turn to religion in the final chapters when thinking about guilt and responsibility. Kafka was drawn to some ideas from Freud and also from Karl Marx's theory of alienation, that becoming a mechanistic part of a social class, through endless work, alienates people from their humanity, as it does in the dehumanising world of The Trial. Many of my favourite contemporary authors are clearly inspired by Kafka's work and there are clear shadows of his writing in the books of James Kelman and Alasdair Gray. Kafka created a darkly comic, precise world in the book. The confusing geometry of apartment blocks, stairwells and offices, the claustrophobic, stuffy descriptions that give a sense how Josef K. is feeling. There is an Escher-like clarity to this unreal, but very recognisable, world that Kafka creates. Written over 100 years ago, reading The Trial again it feels very prescient. The populace are now increasingly judged guilty until proven innocent, watched and spied upon more than ever and evaluated by unknown observers as we travel through our modern world. Truth and facts are just a matter of opinion and perspective. Secret courts can now pass secret judgements leaving defendants as confused as Josef K. as to why they won or lost their case. To get very meta about The Trial, here is Scottish post-punk band Josef K.'s video for their song "It's Kinda Funny", made up of clips from Orson Wells's classic 1962 film version of The Trial starring Anthony Perkins (who makes a great Josef K.). A co-production between Scottish Opera, Music Theatre Wales (as was The Devil Inside) and Theater Magdeburg The Trial gets its Scottish premier in Glasgow before moving to Edinburgh. It has a libretto from Christopher Hampton (writer of the play and film Les Liasons Dangereuses) that is very faithful to the book and manages to boil down the whole story into ten scenes, just as the book has ten chapters. The scenes all flow one into another thanks to the music and clever stagecraft and set design. The set looks like a prison cell, with secret doors and openings dextrously used throughout, always allowing K. to be observed from different corners. Baritone Nicholas Lester as Josef K. is present on stage almost throughout, but despite physically towering over most of the other seven members of the ensemble cast, he seems to shrink and crumble through the course of the evening. The twelve musicians create a much bigger sound than their numbers suggest, at times unsettling, at times frisky, particularly when Fraulein Burstner is on stage. There is much variety in the music between scenes but an insistent, marching tempo throughout, swirling towards a dramatic conclusion. The music in the last two scenes was particularly striking, literally in the case of the percussive beats on the anvil. There is black humour in the book, but that is brought to the fore in the staging of the opera, with some acting reminiscent of silent movie performances of Scottish actors Alfred Eric Campbell and James Finlayson. The guards are done up like Thompson and Thomson from the Tintin books (who were NOT twins, that was a pop band) and their excuse of "only obeying orders" rings a few bells. The words being sung are clear and simple, like the book itself, and many of the lines seem lifted straight from Kafka, particularly the priest's parable of law. Others are cleverly arranged in the opera for greater emphasis, such as the last words of the first act matching up to the words that end the book, "Like a dog!". The contemporary themes of the book shine through, moreso now in the early days of a Donald Trump presidency. From the first line of the book lies are accepted as fact, making this the most modern of 100 year old stories. "Someone must have been spreading lies about Josef K. for without having done anything wrong he was arrested one morning."